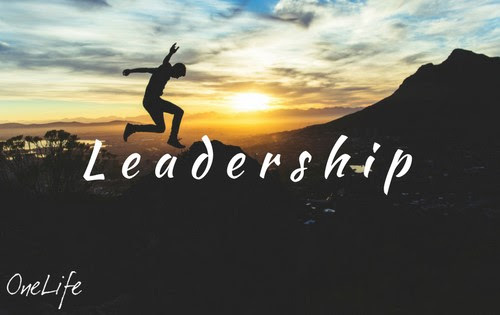 Whether you are a coach, manager, sporting team captain or are in charge of your family, your capacity to lead has a lot to do with your ability to effectively communicate with people. These 6 great tips for effective communication can help improve your leadership skills, increase the quality of your relationships and improve synergy in a team environment. Self-awareness is a crucial part of effective communication. When you’re communicating with your team, family or colleagues, being aware of your own inner thoughts and beliefs is important so that you are not projecting your thoughts and feelings on to others. Knowing yourself also makes you a more confident leader and confidence is a vital leadership quality. Practicing self-awareness will also support you to know your outcome before entering into negotiations, disciplinary situations or coaching sessions and from there you can plan your conversations accordingly. Great communication happens naturally when you take the time to understand the person/people you are speaking to. By knowing your audience’s preferred communication styles, learning styles, motivations etc. you can adjust your communication style and achieve a greater result. Building rapport and getting to know your audience on a deeper level, empathising and building trust are also extremely powerful tools. In a face-to-face situation your non-verbal communication can be just as important as the verbal. Your facial expressions, gestures, posture and eye contact play a pivotal role in the delivery of your message. When you are speaking, practice being aware of your own body language and the body language of your audience, client, children etc. Pay particular attention to whether your body language aligns with what you’re saying—this creates a sense of congruency between your words and your gestures, this then creates trust and certainty for the person you are speaking to. 4. Be precise, concise and clear. Clear communication is vital especially when making agreements or handing over important projects. Be precise, keep it concise and ensure that you are being clear by asking better questions to ensure your message has been delivered and comprehended correctly. When delegating work or handing over an important task you can focus on providing simple and clear instructions and don’t complete on a conversation until you’re certain the other person understands the specifics of the task. One of greatest ways to cultivate open and honest communication is to practice active listen. When someone is speaking to you, really take the time to hear what they are saying. Always acknowledge their concerns and ask follow up questions to demonstrate that you are hearing them clearly. Allowing the person a safe and non-judgemental space and concentrating on responding in a way that is calm and not reactive is also very important. Transparent, fair and respectful communication within a group is one of the best approaches to nurture loyalty and boost performance. You can be assertive but fair and kind, as leadership through fear or intimidation is not true leadership. When you focus on bringing an honest, encouraging and ego-less attitude to every situation that arises you are truly leading by example. Serving as a supporter rather than a dictator allows people to be themselves and for their unique gifts and talents to shine through. A team that feels supported by their leader will be more productive, creative and proactive. These 6 skills are an ongoing practice, don’t expect yourself to become a master overnight, but if you make a commitment to yourself to practice these skills every day in every relationship, over time they will become second nature.